According to the Psalmist. "The days of our years are threescore years and ten; and if by reason of strength they be fourscore years, yet is their strength labour and sorrow; for it is soon cut off, and we fly away." We still hear of a centenarian but that is a rare phenomenon.Holy Emmanuel Church, which completes 125 years on 27th December. 1985, stands as a memorial to the unparalleled philanthropy and magnanimous munificence of Gate Mudaliyar Jeronis de Soysa. Jeronis de Soysa was born on 19th April, 1797. While still in his childhood he was dedicated to the Buddhist priesthood by his parents Joseph Soysa and Francisca Peiris. He commenced his education from his young days at a Buddhist temple in Moratuwa. He devoted his time mainly to the study of medicine and astrology and was interested in the study of comparative religion. Well versed in the "healing art" and as a medical man, he practised his profession purely on altruistic motives and not with the object of personal enrichment. It was by sheer dint of hard work, business acumen and astuteness that Jeronis de Soysa built up his fortune, which was so generously utilised for humane and benevolent purposes. Jeronis de Soysa was closely associated with the Revd. William Oakley. who was a C. M. S. Missionary, and it was the tatter's missionary zeal. which prompted Jeronis de Soysa to accept the Christian faith with his entire family. It was partly in commemoration of this event and also as a manifestation of his thankfulness for Divine blessings that he embarked on the erection of an Anglican Church for Moratuwa. The history of the Anglican Church in Moratuwa dates from 1799. On the site of the present general cemetery behind Holy Emmanuel Church, stood an old Dutch building for 140 years since 1675. In addition to being used as a school. Divine Services were held in this building from 1799 until it was pulled down in 18I5 to be replaced by the first Anglican Church built in Moratuwa at the expense of the Government and the congregation. This Church was built under the patronage of Governor Sir Robert Brownrigg. who contributed his share towards the erection of the Church. This Church was popularly known as the "Brownrigg Palliya" and was large enough to hold 800 to 1000 people. A significant feature of the Anglican Church in Moratuwa was that from the very inception Divine Services and all other Church activities were conducted in Sinhala. On 4th January, 1857, Gate Mudaliyar Jeronis de Soysa appealed to the Bishop of Colombo, James Chapman, to seek the Governor's sanction for demolishing the old dilapidated Church known as " Brownrigg Palliya ", and for the construction of a new edifice on an allotment of land one and a half acres in extent adjoining the then cemetery and to set apart such land and building as a gift in perpetuity to the Church of England, The only condition that was attached to this most liberal and praiseworthy proposal was the use of materials of the existing building. He himself would provide a temporary structure for Divine Worship until the completion of the new Church. Jeronis de Soysa's application was recommended by the Bishop and the Governor Sir. Henry Ward by his letter dated 31st January, 1857, addressed to the Bishop, conveyed his sanction for the above proposal. On 27th December. 1857, Bishop James Chapman laid the cornerstone of Holy Emmanuel Church, which when completed cost over £ 5338 - 5s. The funds for this edifice were contributed mainly by Jeronis de Soysa and his brother Susew de Soysa. By deed No. 11956 dated 18th December, 1860, Gate Mudaiiyar Jeronis de Soysa gave over to Dr. James Chapman, the first Bishop of Colombo, the land and the Church built thereon. On 27th Decembel, 1860, Holy Emmanuel Church was consecrated by Bishop Chapman. The Governor and Lady Mc Carthy together with a number of Europeans assembled in the Church before the consecration. The Church was titled with the most distinguished congregation from the immediate vicinity. At 2 pm the Bishop attended by his clergy and choristers from the Cathedral walked in solemn procession from the Galle Road to the Church, The service was conducted both in English and Sinhala and the sermon was delivered by the Revd. S. W. Dias in Sinhala. The Cathedral choir without the aid of any musical instrument was in attendance. Soon after the Bishop had taken his seat, the service commenced at the instance of Revd. C.Sonanayake. The consecration of Holy Emmanuel Church was conducted by the Bishop, assisted by the Revd. C. Senanayake. The Revds. B. Bailey. 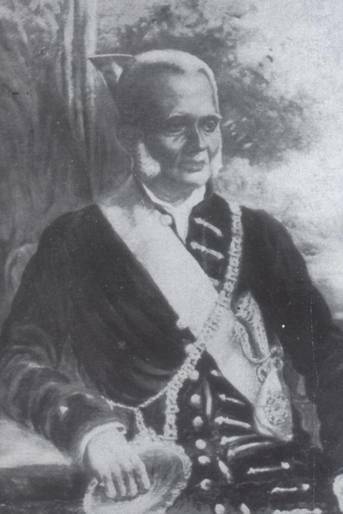 J. de Silva. F. de Mel, Abraham Mendis and S. W. Dias also assisted in the service which was conducted in Sinhsla. On the conclusion of the service. His Excellency and Lady Me Carthy along with the other dignitaries present on the occasion were received by Mr. and Mrs Jeronis de Soysa at their residence. The proceedings closed with the presentation of an address to the worthy founder by the residents of Moratuwa as a token of their deep gratitude for his magnanimous gesture in providing a beautiful edifice for Divine Worship. Five days after the consecration, the Revd. Abraham Mendis. 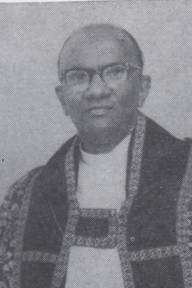 who was the third and last Colonial Chaplain, while still a Deacon, was appointed to the Chaplaincy of Moratuwa and Koralawella on 1st January. 1861. Revd. Mendis was born on 3rd April, 1827, at Idama, Moratuwa. He had his early education at the Moratuwa Government English School, where he studied for 3 years. He then entered the Cotta Christian Institution under the Revd, J.F. Hastam, M.A. As a young lad he evinced a high degree of intelligence and promise. After completing his course of studies he was appointed an Assistant Master of the Institution. Later he was elevated to the rank of Catechist under the Revd. C. Senanayake. On 7th June, 1857. he was ordained Deacon by Bishop Chapman and for 3 years he functioned as an Assistant Curate. When the Revd. Senanayake was transferred to the Chaplaincy of Galkissa and Milagiriya shortly after the consecration of the Church, Revd Mendis succeeded him. On 20th December, 1863. he was ordained a priest by Bishop Claughton. Revd. Mendis ministered to the spiritual and temporal needs of his flock. He married Caroline, who was the daughter of Domingo Soysa. brother of Jeronis de Soysa, the founder. The Revd. Mendis was assisted by Elias Perera. Catechist. who relieved him of much of the pastoral work in the districts of Lakshapathiya, Kaldemulla and Angulana. The Revd. Mendis was only 2 years in office when our revered founder Jeronis de Soysa was called to his eternal rest at the age of 65 on 28th May. 1862, The vast concourse of officials and others, who were present to pay their last repects, bore ample testimony to his popularity and munificence. Dr. Claughton, Bishop of Colombo, visited the Moratuwa Parish for the first time in January, 1863. He held a Confirmation Service at Holy Emmanuel Church. In 1870, Dr. Milman, Metropolitan of Calcutta, visited the Moratuwa Parish. Again on 18th February, 1881. Dr. Johnson. Metropolitan of Calcutta visited the Moratuwa Parish, This was followed by full morning service with the Metropolitan as the preacher. The Bishop of the Diocese celebrated and the Metropolitan took part in the administration assisted by Revds. Mendis and de Mel. The 25th anniversary of the ordination of Revd. Abraham Mendis to the Diaconate was celebrated on 7th June, 1882. He laboured in the Lord's vineyard for 38 years. He served in Moratuwa for 30 years and held the Colonial Chaplaincy for no less than 23 years when he was suddenly called to his rest on 1st July, 1883. His sad and sudden death when he was in full harness created much anxiety and came as a rude shock to alt Christians of the Anglican Church. The Chaplain's funeral service was well attended with the Bishop officiating. Immediately after the Chaplain's death, Bishop R.S. Copleston took temporary charge of the Parish. During the Bishop's stay for about 3 months, he organised a series of sermons and delivered them on eight successive Wednesdays. A service in memory of the Revd. Abraham Mendis was held at the Church on 4th July, 1889. On the death of the Revd. Abraham Mendis, the Revd. Johannes de Silva was posted to be in temporary charge of the Parish. On 18th August, 1883, the Bishop in consultation with the Church Wardens appointed the Revd. E.A. Copleston as the first Incumbent and the Revd. Cornelius de Mel as Assistant Curate. The institution of the Revd. Copleston took place on 15th September, 1883, in the presence of a large congregation at Holy Emmanuel Church. With the enactment of the Ordinance of 1881 withdrawing state aid from all ecclesiastical bodies. Holy Emmanuel Church has been maintained by voluntary contributions and this ultimately proved to be a blessing in disguise. The most important event at this time took place on All Saints' Day (1st November, 1883), when St. Peter's Church. Koralawella was consecrated. When Revd. E.A. Copleston proceeded to England on furlough, the Parish was left in charge of the Revd. Johannes de Silva. On his return to Ceylon in 1884, the Revd. Copleston went into residence at Copleston House, the present site of the Home for the Elders, Moratuwa. on 30th November. The Revd. Johannes de Silva stayed on till April. 1885, when the Revd. A.S. Amarasekera came to the Parish on the 15th April as an additional assistant curate. After a term of four and a half years the Revd. E.A. Copleston resigned from the Incumbency and proceeded to England on 29th April, 1889. During his period of Incumbency,' Holy Emmanuel Church proved to be a hive of religious activity and the Parish work was not only systematic and regular but also exemplary and inspiring. His labours in the Lord's vineyard were so devoted and zealous that later he was elevated as the 5th Bishop of Colombo. At a meeting of the Church Wardens held on 4th July, 1889 at which the Bishop presided, the Revd. Johannes de Silva was elected to succeed the Revd. E A. Copleston. His Institution took place on Saturday the l7th August. The Revds A.S. Amarasekara and Cornelius de Mel shared the work of the parish with the Incumbent. In 1904, Revd. Jacob Mendis was appointed to Holy Emmanuel Church to assist the Incumbent for 2 years. During the Incumbency of Revd. Johannes de Silva, Horetuduwn was attached to Moratuwa and the branch parish of Horetuduwa and Sarikkalimulla was formed. The Revd. A. W. de Met took charge of this new Parish. Services in the Chape! at Sarikkalimulla were conducted by M. Lewis Fernando, Catechist, while the Incumbeni occasionally visited the church to preach and administer the sacraments. Charles Henry de Soysa, who was the son of our revered founder Jeronis de Soysa, passed away on 29th September. 1890. He was a Life Deed Warden of Holy Ernmarnuel Church, Church Builder, Life Warden of St. Matthias' Church and Patron of the Parish stipend and Sunday School Committees. He was Ceylon's greatest philanthropist and a truly Christian national patriot. His early death was a loss not only to Moratuwa but also for the whole country. His mortal remains were interred at the Holy Emmanuel burial grounds on 1st Octoher with a large and distinguished gathering in attendance. Revd Johannes de Silva though advanced in years, continued to work until 20th March, 1907, when he was suddenly taken ill by a stroke of paralysis and resigned the Incumbency on 31st August. On 29th January, 1911, he was called to his eternal rest. Canon Jacob Mendis was born on 29th August, 1863, in Moratuwa. He commenced his education at the Moratuwa Church School and afterwards at the Prince of Wales'College. As an undergraduate of the Calcutta University he was appointed House Master of the College in 1885 and served as an Assistant Lecturer in Sinhalese Classics. He initiated his studies for the Ministry under the direction of Revd. E. A. Copleston, the then Incumbent of Holy Emmanuel Church. He was ordained to the Diaconate in 1892 by Bishop R. S. Copleston and to the Priesthood in 1896. He served for 7 years from 1892 as Assistant Curate of St. Paul's Church, Kandy and in August 1899, he was transferred to Colombo as an Assistant Curate of St. Michael's Church. Polwatte where he served for 5 years. Later he functioned as an Assistant Curate at Holy Emmanuel Church until he was appointed as Incumbent on 1st January, 1908 as successor to Revd. Johannes de Silva. He was instituted to the Incumbency by the Bishop on Sunday, 9th February, in the presence of a very large gathering. The Golden Jubilee of the Church was celebrated from 26th December. 1910 to 3rd January, 1911. The Church and its environs were gaily decorated. Although at that time the town of Moratuwa had no electricity, the Church interior was well illuminated with different colours of lights from lamps florally decorated. The Church tower and the approach road to the Church from rhe Galle Road junction up to the Church edifice and its environs were beautifully illuminated with lighted bucket lamps. After the evening services there was a grand display of fire works to entertain the public. The Rt. Revd. E. A. Copleston, Bishop of Colombo, preached at the service held on 27th December at 9.30 a.m.
History records that the Golden Jubilee Memorials of our Church were compiled by the late J. S. A. Fernando, a parishioner of Moratuwa and a historian of repute. The Diamond Jubilee of the Church was celebrated from 26th December, 1920 to 3rd January, 1921. The Diamond Jubilee Memorials, which record the history of the Church from 1860 to 1920, were compiled by J. S. A. Fernando, who incidentally was the same person, who compiled the Golden Jubilee Memorials of the Church. St. Paul's Church, Moratumulla was consecrated by the Rt. Revd. E A. Copleston, Bishop of Colombo, on 2nd February, 1923. The Revd. Mendis was widely acknowledged as a Sinhalese Classical Scholar and he contributed in large measure as Chairman of the Bible Revision Committee and the Sinhales. 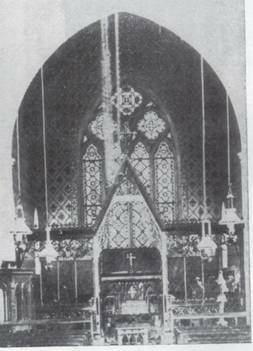 This is a picture of the nave of the Church during the Golden Jubilee (50th Anniversary) of the Church in December, 1910. Since electricity was not available, the Church was lit up with large lamps. Prayer Book, including the 1928 Prayer Book and to Sinhalese Christian Literature in particular. In 1935, he was elected an honorary Governor of the British and Foreign Bible Society for life. He was the author, translator or compiler of a number of devotional and other religious works, among them "Ayadum Malawa" or Chaplet of Devotions. 1. That the figures be veiled with curtains for one week in the month. 2. That this week be from the third Saturday to the fourth. 3. That the only exception to this rule be Good Friday (should it fall within the week specified) and Christmas Day. The 75th anniversary of the consecration of the Church was celebrated from 26th December. 1935 to 1st January, 1936. Elaborate arrangements were made and a Jubilee Commemoration Committee of 300 members/ of the Parish and 8 Sub-Committees were appointed. At the request of the Executive Committee, P. M. A. Mendis and W. R. 0. Fernando, Hony. Joint Secretaries, addressed an appeal to all parishioners to help collect for the Jubilee Fund a sum of Rs 10.000/- by remitting their subscriptions to the Hony Treasurer, H. P, Dickman de Mel. A sum of Rs 7494.60 was collected. 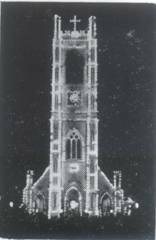 On the eve of the Jubilee/ the stately tower and the sides of the church were overlaid with a network of electric jets and at the top of the tower was a cross of lights with the figure 75 being prominently displayed. The celebrations commenced on 26th December with Evensong at 6.30 p. m. On 27th December, there was a celebration of the Holy Eucharist at 7.30a.m. by the Bishop of Colombo, the Rt Rev. Mark Carpenter Gamier followed by a special Thanksgiving Service at which the Bishop preached. The Thank offering, which had been collected during the year, was brought by the 2 General Secretaries and the Hony. Treasurer in white silk bags and handed over to A. J. R. de Soysa. L. W. A. de Soysa, R. A. Fernando and A. F. S Fernando. Wardens, who in turn offered it to the Bishop. At the close of the Service, G. O. C. Cooray, Secretary of the Jubilee Memorials Committee and Compiler of the Memorials presented to the Bishop an artistica1!y bound copy of the Jubilee Memorials, while the incumbent, the Wardens and the other ex-officio members of the Jubilee Committee were also presented with similar copies. A special feature of the celebrations was the candle-light street-procession held on 2 days during the octave. During the Jubilee Octave there were services in the mornings and in the evenings. On , several days the evening services were concluded with a display of fire-works while the illuminations were continued throughout the celebrations. One of the events of the week was a dinner held at the School Hall when covers were laid for about 150. The Revd. Jacob Mendis presided. The celebrations ended with a Sports Meet held on the lawn near the Sunday School hall. The prizes were distributed by the Revd. Jacob Mendis. Thereafter W. R. 0. Fernando, General Secretary and Gladwin S^A. Fernando, Joint Secretary of the Social Committee, thanked all those who helped to make the meet a success. On 29th August, 1937, Canon Mendis celebrated 3 important events in his life, namely the attainment of his 45th anniversary in Holy Orders, the 45th anniversary of his marriage and his 75th birthday. In 1939, Revd. Mendis was installed as Honorary Canon in the Cathedral by Bishop Horsley and in 1940. he was appointed Rural Dean of Moratuwa. On 16th December. 1940 he Wds accorded a farewell by the people of Moratuwa on his retirement. His Incumbency of 33 years is the longest on record. He continued to function as Rural Dean until his retirement from active servicQ in 1944. 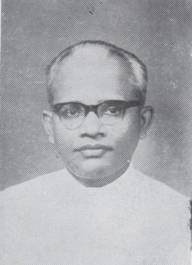 Canon Mendis was called to his well-earned rest at the ripe old age Of 85, on l8th March, 1948. The older generation still carry nostalgic memories of this strict disciplinarian for his long service and for the wonderful vigour he displayed in tha service of God's sacred Ministry. For filling the vacant Incumbency at Holy Emmanuel Church several names were ] submitted, but ultimately only the Revd. H. E. C. Mendis M. A. (Cantab) and the Revd. 1 Harold de Soysa M. A. (Oxon) were considered. Bishop' Cecil Horsloy selected the Ruvd. Harold de Soysa, Assistant Curate, Christ Church, Baddegama as the new Vicar. The Institution and Induction of the new Incumbent took place on 2nd February. 1941 J by Bishop Horsley. The Revd. Harold de Soysa. eldest son of Sir Wilfred and Lady de Soysa. was a great-grandson of the founder Jeronis de Soysa. He had his education at Royal College and later graduated from Oriel College, Oxford, obtaining Second Class Honours in Theology. He had his training for the Priesthood at Cuddesdon College and was ordained Priest in 1934 at St. Paul's Cathedral. He was only 30 years when he was appointed Incumbent. Although he was young in years he took up his new assignment with a keen sense of dedication and sincerity. He was full of energy, zeal and vitality and embarked on an ambitious programme for the upliftment of the parish. One of the first things he did was to institute the daily celebration of Holy Communion at 7.00 a. m. It was during his Incumbency that the Mothers' Union, the Youth Fellowship and the Guild of Servers were formed. He was in close touch with the parishioners and evinced a keen interest in the parish organisations to which he infused new life. The Assistant Curates at that time were Revds. J. E. Mendis. L. C. Fernando and J. P. de Silva. On the retirement of the Rev. Harold de Soysa. due to ill-health, the Metropolitan's Commissary, Yen. F. L. Beven appointed the Revd. Neville W. Fernando to look after the affairs of our Parish until a permanent appointment was made by the new Bishop. Onl 3th July. 1943, The Revd. A R. Graham Campbell.Dean of King's College. Cambridge was appointed the 8th Bishop of Colombo. The consecration of the Bishop-Designate took place on 29th September, 1948, in York Minster. He arrived in the Island on 22nd December and lost no time in paying his first pastoral visit to this Church on 27th December. One of the first functions devolving on the new Bishop, soon after his appointment, was to select a permanent Vicar to the Parish. The Revd. B. M. Wikramanayake, Vicar of the Church of St. Mary the Virgin. Veyan-goda. was appointed as Incumbent with effect from 1st May, 1949 and his Institution and Induction took place on 4th June, 1949. One of the burning desires of Revd. Bertram Wikramanayake was to build a Church at Kadalana. This was a long-felt need and the new Vicar taking over the blue prints prepared by the Revd. Harold de Soysa, collected a sum of Rs. 60.000/- from friends and well-wishers and the foundation stone for the erection of a church edifice was laid on 1st November, 1950. The Church was completed and thereafter consecrated by the Bishop on 1st November. 1955, The Church of the Healing Christ at Kadalana stands as a monument to an Incumbent bubbling with energy and dynamism, both within and outside the Church. In the adminis­tration of the parish he evinced a firmness, which was characteristic of him. The inauguration of the Diocese of Kurunegala was a historic and momentous event in the annals of the Church of Ceylon. 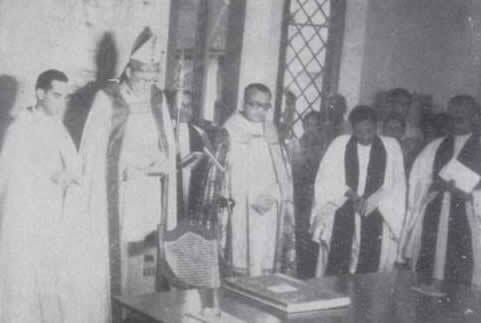 The General Council of the Province gave its permission for tha creation of the Diocese of Kurunegala in January, 1950. His Grace the Rt. Revd. G. C. Hubback, the Metropolitan appointed the Rt. Revd. 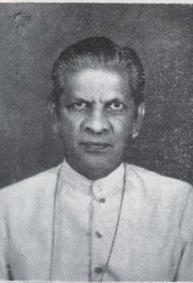 Lakdasa de Mel to be the first Bishop of Kurunegala with effect from 2nd February, 1950. 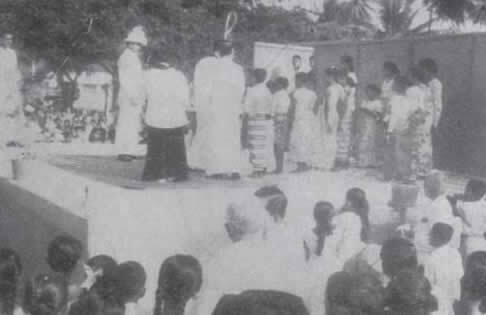 The first Unityd Christian Service at Moratuwa was held in the Prince of Wales' College Hall on 29th November, 1953.' It was attended by about 5000 of the respective Non - Roman Catholic members of the Churches in the town and a large number of the general public. After the election of Church Wardens for the year 1955, a dispute arose between the Elected Church Wardens on the one hand and the Nominated Wardens and the Incumbent on the other hand, regarding monies received on account of the various funds of the parish and their proper custody and disbursement. It was agreed between the 2 parties that the dispute should be referred to A. R. H. Canakeratne. Q. C. for arbitration. On 18th February, 1965, the parties agreed in the presence of the Arbitrator that the decision of the Arbitrator should be final and that steps should be taken to make the decision of the Arbitrator effectual and binding on the parties and their successors in office. After inquiry. A. R. H. Canakeratne.Q. C. made his Award on 23rd March. 1956. Subsequently there was another difference of opinion between the 2 parties referred to above in respect of various other funds. This matter was also referred to Q. C. Canakeratne and after discussing the points at issue, agreement was arrived at between the Counsel appearing on behalf of the parties. The 2 Awards made by A. R. H. Canakeratne regarding the above appear as an Appendix to this Souvenir. The Revd. 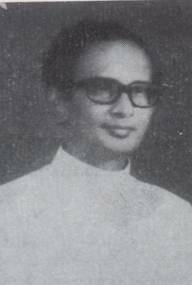 Harold do Soysa was instituted as the Archdeacon of Colombo on 21st September, 1955. The elevation of one of our former Incumbents to this ecclesiastical office was a matter for exultation. The General Council of India, Pakistan, Burma and Ceylon 17 Bishops attended the sessions held in Ceylon in January I956. On this occasion parishioners from all parts of the Island congregated in very large numbers at the Galle Face Green and participated in a rally, bater, on 20th January, nine Bishops visited our Church. The Revd. B. M. Wikramanayake was called to his eternal rest on 22nd September, I956 and the large gathering that assembled at his funeral service at this Church and later at the burial service at All Saints'Church, Galle. bore ample testimony and tribute to his memory and worki The Church of the Haaling Christ, the construction of which he undertook as a labour of love, stands as a monument to his missionary zeal. The Revd. F. R. E. Mendis held the Incumbency of this Church only for a brief spell of one year from I957. The death of his only son under tragic circumstances and the problems peculiar to a large parish impaired his health and he was unfortunately obliged to retire before the lapse of one year. The 9th Lambeth Conference of Archbishops and Bishops of the Anglican Communion was held in London from 3rd July to 10th August. 1958 and this was attended by the Bishop of Kurunegala. At this Conference/ which was attended by 310 Bishops, the proposed Scheme of Church Union in Ceylon was discussed and Lambeth gave her blessing to the Scheme. On the resignation of The Revd. 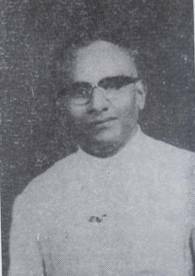 F. R. E. Mendis in November, 1958, the Revd.S. H. Perera, Assistant Curate, was called upon to function as Priest-in-Charge. At a Special General Meeting of the congregation held under the chairmanship of the Revd. S. H. Perera. a General Committee of 200 parishioners was appointed to draw up a Constitution and report to the next General Meeting of the parish in December 1958 regarding the Centenary celebrations in 1960. On the recommendation of the General Committee, 10 Sub-Committees were appointed and an Executive Committee consisting of 3 members from each Sub-Committeewas constituted to plan and execute all matters regarding the Centenary. The Centenary Committee proposed that a sum of Rs 1,000,000/- be collected for the furtherance of the, following objects:— Centenary Celebrations, perpetuating the memory of the Founder, Missionary enterprise, relief ofdiscress among parishioners, helping ordination candidates, clergy pensions and clergy widows'pensions. The Incumbent was Chairman ex-officio of the Centenary Committee and P. M. A. Mendis, W. R. 0. Fernando and Danister E. Mendis were Joint General Secretaries. P. H. Wilson Peiris was Hony, Treasurer while S. E. Lloyd Salgado and S. J. S. Perera were Hony Assistant Treasurers. The Revd. S. H. Perera continued as Priest-in-Charge till the appointment of the new Incumbent in July, I959. A few months later he was transferred to St. Peter's Church. Koralawella, as Priest-in-Charge. Revd. Perera was a talented musician and on several occasions he filled the role of Organist. He executed his work with fortitude and distinction and the increase in attendance at church services speaks volumes for the able manner in which he performed his pastoral duties. Teacher. Catechist, Deacon and Priest, he came to Holy Emmanuel Church in 1926 at the instance of Canon Jacob Mendis. J. P. de Silva was appointed a Catechist. In I929 he was made a Deacon and was appointed as Clerk in Holy Orders. In I948 he was ordained a Priest and was entrusted with many duties apart from assisting at Divine Services. He was a j very pious and devoted person and ministered to the sick by visiting them regularly. He was called to his eternal rest on 4th June, I959. The Revd. E. G. Misso was Instituted as Incumbent by the Bishop of Colombo on I 26th July, I959. He was educated at S.Thomas' College, Mt. Lavinia and St. Peter's | College, Colombo. He was made Deacon in 1952 and came to this Parish. He was| ordained Priest in 1953 when he was functioning as an Assistant Priest in our Church. One of the first tasks devolving on the new Incumbent was to proceed with the workj started in regard to the Centena y celebrations. At that time the Incumbent had as his| assistants the Revd. Lakdasa Jayawardene and the Revd. Donald Kanagaratnam. The Centenary Year was ushered in with a Parish Tea organised by the Wardens and Parish organisations on 28th February, 1960. The Bishop and Archdeacon and several hundreds of parishioners were present on this occasion. A fortnight later 2 separate group-photographs of the adults and children of the parish were taken. On 9th July, the foundation stone for the extension of the Vestry of the Church was laid by the Ven. Harold de Soysa, Archdeacon of Colombo and a great-grandson of the Founder. On this occasion it was mentioned that Jeronis de Soysa built this Church at a cost of £ 8,000/-. which included contributions from others not because Jeronis de Soysa could not afford to bear the entire cost himself, but because it was his earnest desire to seek the co-operation of all. so that the Church could be truly Our church. It was with such altruistic motives that our worthy founder ventured to build a magnificent edifice to the glory of God. On the same day additions to the Sunday School Hall were also commenced. Sir Wilfred and Lady de Soysa, who had kindly consented to construct the west wing at a cost of Rs. 15,000/-were present, when in the presence of those assembled Lady de Soysa laid the foundation stone. This day was indeed a memorable day in the annals of our Church, for on this day a great-grandson of the founder of the Church laid the foundation stone for the extension to the Church building, while his mother, the daughter of the Founder of the Sunday School Hall, laid the foundation stone for the extension of the Sunday School Hall. This Mission was conducted by the Rt. Revd. Dr. Lakdasa de Mel, Bishop of Kurunegala, assisted b/ the Ravd. 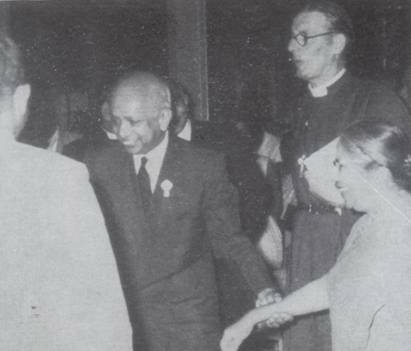 C. L. Wickramasinghe and the Revd. Andrew Kumarage. The Mission commenced on 23rd July and continued till 31st July, 1960. Jubilee Mela An important event organised by the Joint Fancy Fair and Social Committee was he Jubilee Mela held at Prince of Wales College on 7th and 8th October. The purpose of the Mela was to collect funds to implement the various development projects in hand and also to swell the Centenary Fund. The highlight of the Centenary celebrations of the Church was the festival octave. which commanced on 26th December, I960. 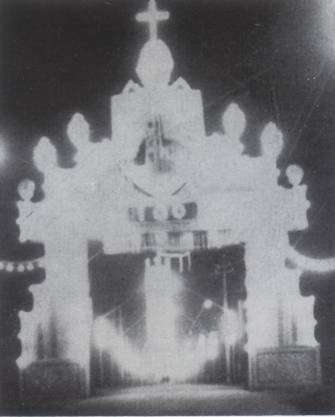 The first spectacle that caught the public eye was the grand pandal that spanned the entrance to the Holy Emmanuel Church Road brilliantly lit and with the figures 1860-100-1960 symbolising the Centenary. The approach road to the Church was profusely Jlluminatad and gaily decorated wrth multi­coloured flags and looked as if it was fitted with a canopy of lights. The Church Tower was flood-lit while the Church building was lighted with Jets. The Church and its environs presented a majestic and resplendent spectacle never witnessed before. The flag of St. George and the National flag were hoisted on top of the Church Tower, while the figure 100 depicting the Centenary flashed intermittently. At, 530 pm. Bishop Archibald, together with Revd. Misso, Incumbent and the Choir wended their way from the Sunday School Hall to the Vestry, where the photographs of the past Incumbents were unveiled by the Bishop. Thereafter the new Vestry was blessed, j Evensong commenced at 6.30 p.m. and the Bishop of Colombo delivered the sermon. 27th December was a red letter day for the Church of Holy Emmanuel as it was the day of the centennial anniversary of the Consecration. At the Holy Communion Service, which commenced at 7a.m. the Bishop was present, while the celebrant was the Ven. Harold de Soysa, Archdeacon of Colombo and the preacher was the Incumbent. After the service. 3 wreaths were placed by the Oishop of Colombo, the Archdeacon of Colombo and Senator Lady Evelyn de Soysa on the grave of our founder, Jeronis de Soysa, on behalf of the Centenary Committee. At 4.30 p.m. there was a Public Meeting followed by a Garden Party at which His Excellency Sir Oliver Goonetilleke, Governor-General was the Chief Guest. On arrival His Excellency was received by the Bishop of Colombo and the Incumbent. The Bishop whilst welcoming all present, called upon the following toaddressthegathering:- Revd. Fred deSilva. Chairman of the Methodist Synod, Revd. W. G. Wickremasinghe. Vice • President of the Baptist Sangamaya, Revd. Fr. Lionel Abeywickrema of the Roman Catholic Church. Moratuwa, Major Colombage of the Salvation Army. Revd. Bryande Kretser of the Presbyterian Church and Mr. Shelton C. Fernando, Permanent Secretary, Ministry of Home Affairs. P. M. A. Mendis. Joint Secretary of the Centenary Committee presented to H. E. the Governor-General, the Bishop of Colombo and Sir Wilfred de Soysa copies of the Centenary Souvenir. W. R. 0. Pernando, Hony Joint Secretary proposed a Vote of Thanks, while Gladwyn S. A. Fernando Warden, seconded it. At the close of these proceedings, the Governor-General accompanied by Senator Sam P. C. Fernando, Minister of Justice and party repaired to the Church where Choral Evensong was held with the Archdeacon of Colombo as the preacher. On 28th December, at 7.00 a.m. the Holy Communion Service was held in English. The Revd. T. A. M. Jayawardena was the celebrant while the preacher was the Revd. Matthew G. F. Peiris. At 9.00a.m. a Children's Service was held at which the preacher was the Revd. Henry Pernando. At 4.00 p. m. the 89th Annual Sunday School Festival and Prize-Giving was held. Sir Wilfred de Soysa was the Chief Guest, while Senator Lady Evelyn de Soysa distributed the prizes. The speakers were Mavis Bing and the Revd. Edison T. L. Mendis. The Voteof Thanks was proposed by J. N. Oleap Fernando and seconded by Rio Fernando. 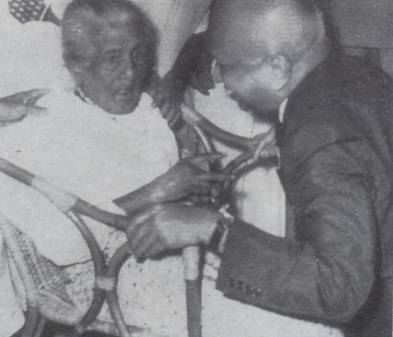 Sir Oliver Goonethilike, Governor-General, who was Chief Guest at the Centenary Public Meeting and Garden Party on 27.12.1960 greets Mrs. Leonara Mendis who was 4 years Old when the church was consecrated in 1860. She was the oldest (104 years) living parishioner during the centenary. Sir Oliver Goonethilike Governor-General, in the company of Bishop Archibald, Senator. Lady Evelyn de Soysa and Justice Minister Sam P.C. Fernando at the Centenary Garden Party held on 27.12.1960. 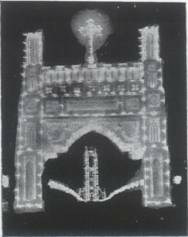 A scene depicting the Consecration of Holy Emmanuel Church from the Pageant Stage on 29.12.1960 during the Centenary Celebrations. Blessing of the new Vestry of Holy Emmanuel Church on 26.12.1960 by Bishop Archibald. Thereafter, the photographs of Juan Fernando, Sir Wilfred and Lady de Soysa were unveiled by the Bishop and the newly-built west wing of the Sunday School Hall was blessed by the Bishop. The Revd. T. C. J. Peiris. Rural Dean of Moratuwa and its environs, preached at the Choral Evensong that followed. 29th December, which was designated "Pilgrims Day", was ushered in by the Revd. Donald Kanagaratnam who was the celebrant at the Holy Communion Service at 7.00a.m. This Parish hosted a large number of pilgrims, who converged on Moratuwa from parishes far and wide, to partictipate in our Centenary celebrations. Choral Matins were held in Sinhalese, Tamil and English at 9.30 a.m. It was a very impressive service at which the sermon was preached by the Revd. Patrick Abeywardene. The attendance at the service was a record one of 1847. At 3.30 p. m. on the same day, a Pageant depicting the history of the Moratuwa Parish from its very inception was staged at the Prince of Wales' College grounds. Thereafter at 5.30 p.m. Choral Evensong and a Procession followed. At this service the sermon was preached by the Revd. Swithin W. Fernando. At 7.00 p. m. the day's proceedings concluded with a grand display of fireworks and the church compound and its surroundings presented a multitude of heads. The fireworks was a generous gift from M. E. Shelton Perera. At 7.00 a.m. on 30th December there was a Holy Communion Service with the Revd. Noel H. M. de Mel as the celebrant and the Revd. L. C. Fernando as the preacher. The Mothers' Union and the Senior Guild gave a tea-party to the members of the other organisations in the Parish. On the same day at Evensong the Ven. James L. H. Amarasekera. Archdeacon of Kurunegala, preached. At 9 00 p.m. there was a Parish Dinner at which nearly 500 participated. At the Dinner, Danister E. Mendls proposed the toast of the Vicar and the Revd. E. G. Misson replied. The Revd. Kenneth Fernando proposed the toast of the Parish Organisations, which was replied to by the representatives of the Organisations. D.V.E. Perera. AinsleyCooray, J. N. Oleap Fernando, Merril de Silva and Muriel de Mel. The toast of the Jubilee Committee was proposed by D. T. A. Fernando and seconded by E, W. V. Cooray. W. R. C. Fernando replied. On 31st December at 7.00 a.m. the Revd. Douglas de Mel celebrated Holy Communion while the preacher was the Revd. Lakshman Peiris. In the afternoon there was a Youth Rally at Prince of Wales' College grounds presided over by Asoka Peiris. The speakers at this meeting were the Revd. E. W. Mendis, Merril E. C. Fernando, and Tyrell Cooray. TheVote of Thanks was proposed byAinsley Cooray. At Evensong the preacher was the Revd. Kenneth Fernando, while the Watch-Night Service, which commenced at 11.30 p.m. had the Revd. Donald J. Kanagaratnam as the preacher. New Year's Day, 1st January. 1961, was the Sunday in the octave of the Feast of the Consecration. Holy Communion Services were held at 6.00 a.m. and 7.30 a.m. The Incumbent was the celebrant while the Revd. L. M. L. Jayawardene was the preacher. There was another Holy Communion Service (English) at 9.30 a.m. and the preacher was the Revd. 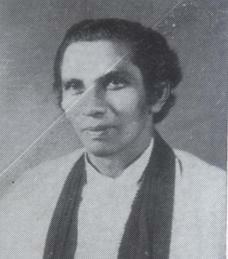 L. M. L. Jayawardena. Evensong was held at 6.00 p.m. and the Revd. S. M. J. Jebamony was the preacher at this service, which was held in English. 2nd January was the last day of the festival octave. A Holy Communion Service was held at 7.00 a.m. nnd the Revd. S. H. Perera was the celebrant and the Revd. Edison T. L. Mendis was the preacher. At this service, our Founder, benefactors and past worshippers were remembered. At 5.00 p.m. the same day, the inaugural meeting of the Moratuwa Evangelical Fellowship was held. This meeting was presided over by the Archdeacon of Colombo while the Revd. Donald J. Kanagaratnam moved the resolution for the formation of the Fellowship. At 6.00 p.m. Evensong was held with the Revd. H. E. C. Mendis as the preacher. The processions which were to be held in connection with the Centenary celebrations did not take place as processions had been banned under the State of Emergency declared by the Government. The Centenary Souvenir in two volumes was compiled byW. R. 0. Fernando (Chairman), Gustavius Jayawardene. Hubert J. A. Mendis. B R. N. Mendis and D. R. Mendis. Rev. Roger A. Herft: B.D.